Alphakids Learning Centres (ALC) Pvt Ltd is a pioneer in premium education in India, promoting preschools and daycare centres as well as K-12 education through its Alphakids International - Preschool & Daycare Centres and Bellwether International School brands. Guided by two reputed investors from well established corporate groups – with one of them being a co-founder of a premium international school in India – ALC is driven by a team of professionals with over 30 years of experience in the field of education in India as well as overseas. ALC is an umbrella organisation that has two major divisions starting with Alphakids International - Preschool & Daycare Centres that is one of the most renowned and reputed preschool chains in India and has been recently ranked among the top 4 by Education World in its latest survey. Alphakids International was also awarded as “Emerging play school of the year - 2017-18”. 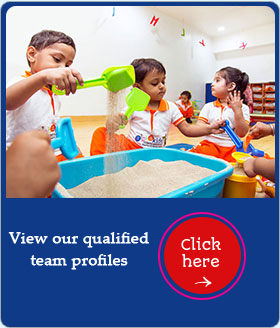 Alphakids International has its two existing centres in premium Mumbai locations - Lokhandwala ( Andheri ) and Juhu . 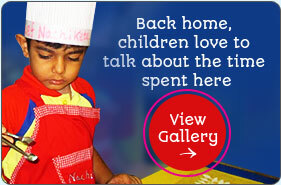 ALC Pvt Ltd has recently started franchising the preschool brand and has already received a huge response. ALC's second major division, Bellwether International, will be the first of its kind in the K-12 international schooling space focusing on building children's thinking skills while working with equal emphasis on their minds, hearts and souls enabling them to adapt to a futuristic environment. The first Bellwether school is now open in Tanuku, Andhra Pradesh and is accepting admissions till Grade 4. Both Alphakids International preschool and Bellwether International curriculums have been developed based on years of research done by an international team of educators and benchmarked with global standards and best practices. ALC, backed by two reputed families and well established brands and its own unique pedagogy, aims to create happy, responsible and successful global citizens. To establish Alphakids Learning Centres (ALC) Pvt Ltd as a recognized thought leader by achieving a paradigm shift in educating children, teachers and parents. To offer an educational experience driven by curiosity and inquiry so as to ensure a holistic development of a child. To maintain consistency of excellent quality education, safety and hygiene standards across our learning centres. To extend our reach and create a positive impact on society through teacher training and productive parent engagement. To carry out all operations with love, truth and kindness! Integrity: We promise to deliver! Collaboration: We will have productive, supportive and healthy relationships with all our stakeholders. Accountability: Everyone within the system will be responsible for the positive development of the child. Right for the child: All our actions revolve around what is right for the child. Excellence: We ensure excellence in whatever we do.